Our first President, Douglas Hyde, in 1892 spoke ofThe Necessity for De-Anglicising Ireland, to put focus on establishing an Irish national identity which, in many ways, amounted to “we’re not English” - the creation of a cultural identity which was the binary opposite to that of our one-time colonial oppressor and neighbour. 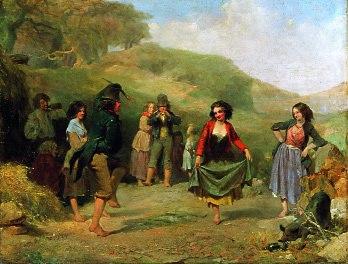 This involved romanticising the rural countryside scene, untouched nature and agriculture, rather than the heavily developed industrialised setting, a rekindling of our native language and an embracing of our native music and dance among other things. It’s an identity which has become a huge cultural export and one which many, myself included, have been living off of for a very long time. I work in tourism, but I’m also a trad musician and the commodification of traditional music for the tourist market is at odds with the spirit of the music itself to an extent. Before this, the pub was the place where musicians would play a session, a gathering of random musicians coming together to play more for their own benefit than that of any audience. It was the main sphere of innovation and an arena for collecting new tunes, learning variations of tunes, hearing different playing styles and picking up different techniques, little frills and ornamentation, to enhance one’s musicianship. The audience was irrelevant in that regard while anyone with an interest was welcome to join in and sing a song or play tunes. This still exists of course but while it’s very easy to find Irish traditional music in Dublin (in fact it’s probably more difficult to avoid) it certainly is not so easy to find a music session proper, in that traditional sense. Now it’s become about the show - the microphones, the speakers, the setlists etc. We see musicians, of a very, very high standard it must be said, playing the circuit – doing two, three, maybe four ‘gigs’ in a day and night, playing more or less the same sets day in and day out – it does tend to take the joy out of it all for the musician. But thankfully for the spectator tourist it is something electrifying, thoroughly entertaining, lends itself to a fantastic, joyous pub atmosphere, the soundtrack to the 'craic' and is a major part of that ‘ultimate Irish experience’. 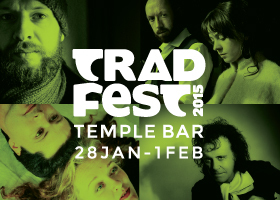 Roll on TradFest, TempleBar's annual showcase of both Irish and international trad & folk acts from 28th Jan. to 1st Feb. 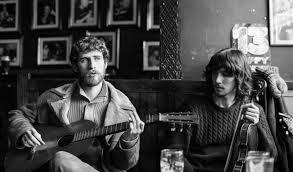 Traditional Music in this country has had its cultural gate-keepers in the forms of various bodies and organisations which have strived to maintain the purest and traditionalist ideas around Irish Music, its discourse and its evolution. TradFest, now in its tenth year, expands beyond the boundaries of the TempleBar quarter and it's pubs to bring us what they call Radical Trad, a line-up to appeal to the purist as well as the merely curious while being a platform for the next generation of musicians making their mark in the trad spectrum and, in fairness, the line-up which includes artists of folk, nu-folk and rock 'n' roll does reflect the living breathing nature of the music as something which grows and takes influence from other music around it while remaining true to the fundamentals of the tradition itself. Here're a few of the acts and events we recommend checking out if you're in town during the festival. 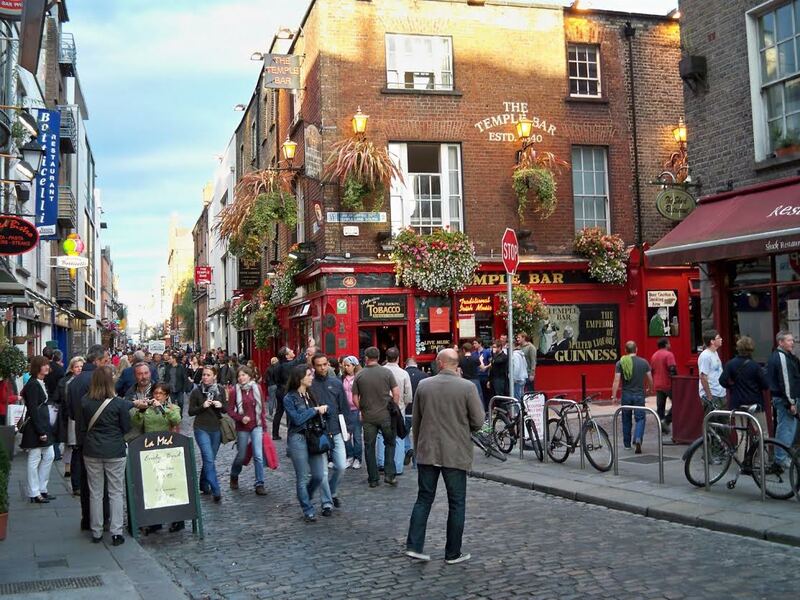 Many of them are free, many are pub-based while many take place in unique and renowned venues like churches, Dublin castle and Saint Patrick's Cathedral, there's exhibitions, workshops, masterclasses, film screenings and even a food trail to fuel you on your curious journey of musical discovery. Enjoy! I love these guys & gal. Full disclosure in case you detect fanboy syndrome in this recommendation. 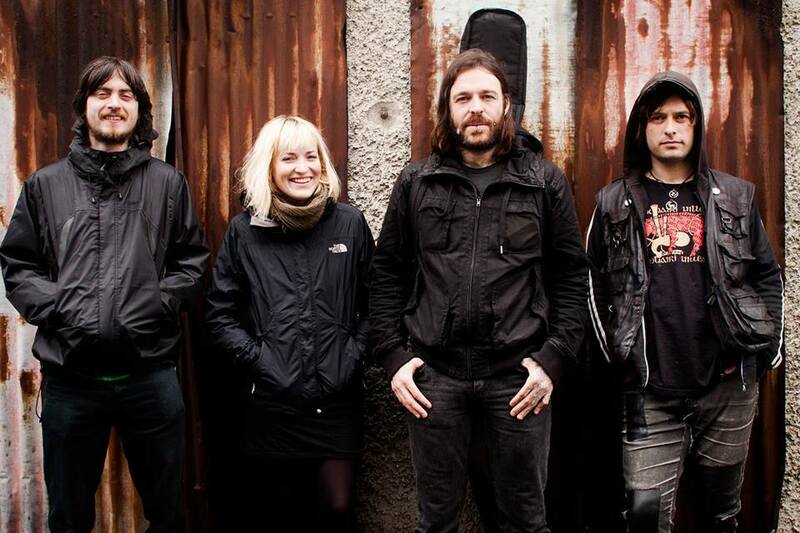 Very Dublin, very gritty and very, very good. A youthful outfit teeming with the unique deep rich heritage of urban ballads & traditional songs not often the pick of the traditional cannon and delivered with remarkable feeling, understanding, respect, irreverence & wit. 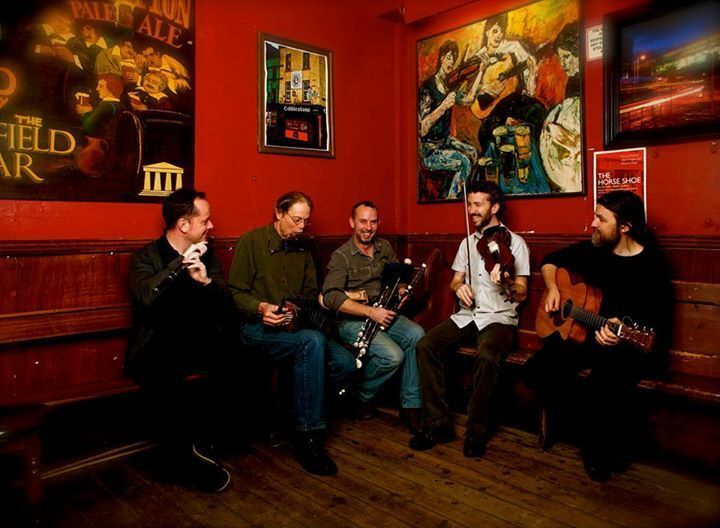 With sharp, deep & at times coarse vocals in real local 'Dub' vernacular and clever harmonies against great guitar rhythm, Uilleann pipes, fiddle, concertina and whistles these self-styled 'Dublin folk miscreants' are not to be missed. But don't take my word for it. I told you, I love these guys & gal so click here and hear it for yourself. Number 11, their own song “cold old fire” after which the album is named, is particularly great. 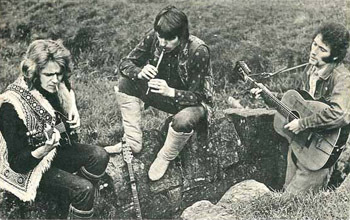 A major influence on the Irish folk music revival of the 60s and 70s, Sweeney's Men are nothing short of legends who paved the way for great bands like Planxty and gave Irish music some balls in terms of rhythm, melodies, attitude and delightful interplay between mandolin and bouzouki. 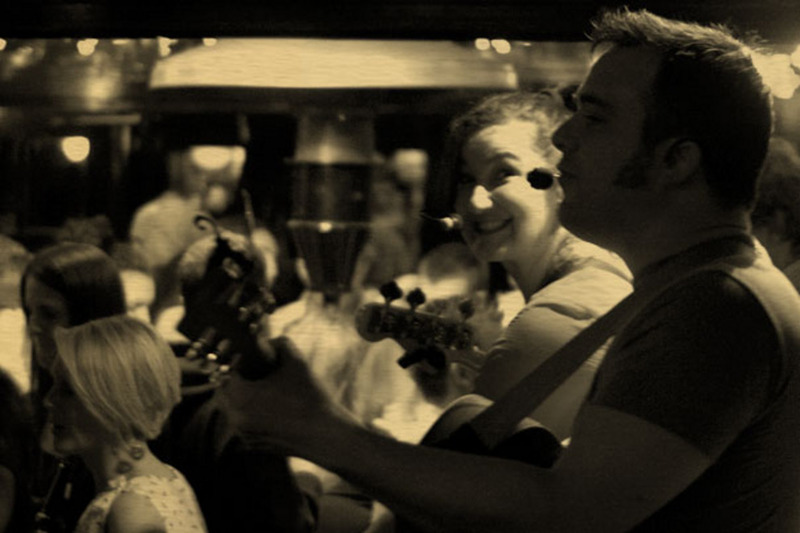 Part of a strong line-up in its own right at the Hub on Thursday the 29th, Ye Vagabonds are well worth catching for their brief set from 11.20pm. Two brothers with singing styles inspired by various folk traditions with close harmonies and an acoustic instrumentation. From beautiful Kerry in the South-West of the country, Leonard Barry is an Uilleann piper who possess great technique and style in executing precision piping with joyful, soulful flow. A nice lunchtime showcase of one of our truly emblematic instruments played by one of our masters of the art. That's a very small nibble of a quite substantial, tasty music pie so check out templebartrad.com for full listings and see what might tickle your fancy. Other highlights include Front Row Sessions – free concerts in intimate pubs featuring renowned acts such as Mundy, Paddy Casey and The Dublin Legends and we also recommend checking out Cara Dillon, she's a special singer as well as an accomplished trad musician, and The Undertones....a band who really are the odd ones out in terms of the festival line-up, a punk-pop five-piece who emerged from Derry in the 70's and brought us great tunes such as 'Teenage Kicks', 'My perfect cousin' and Jimmy Jimmy'. They are class. Enjoy the trad and all that jazz.